Prior to his election as medical group president, Dr. Sewell served as a hospitalist, Chief of Continuing Care and Chief of Hospital Specialties at Kaiser Permanente’s Moanalua Medical Center. Dr. Sewell received his medical degree from the University of California, San Diego School of Medicine. He completed his residency and chief residency at Legacy Good Samaritan and Emanuel Hospitals in Portland, Oregon, where he was the Associate Program Director of Internal Medicine and Program Director of Transitional Residency Programs. Dr. Sewell was named Medical Director of Legacy Health System, where he was responsible for a full range of ambulatory and chronic care services, including the operations of the Legacy Clinics. Dr. Sewell is board-certified by the American Board of Internal Medicine and is a fellow of the American College of Physicians. He serves as a Board Member of the Hawaii Health Information Corporation. Hawaii Permanente Medical Group (HPMG) is the state’s largest and most experienced multi-specialty medical group practice, made up of over 600 of the most uniquely qualified physicians and other health care providers in the islands. 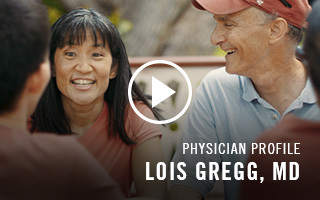 HPMG physicians are dedicated to providing world-class clinical care and to building lifetime relationships with their peers, with our members, and with the diverse communities that the Hawaii Region serves. HPMG is driven first and foremost to provide the highest quality of medical care and service in the islands. To accomplish this, we support our physicians by providing them with cutting-edge medical tools and the latest in medical information technology. We also continuously update the Medical Group with the data and feedback that our physicians need to exceed our members’ expectations every day, every time, through every encounter. It is the responsibility of every HPMG physician to provide the highest quality of measurable care and service possible, the kind of care you would want for your own family. In Hawaii relationships are crucial. As an HPMG physician you’ll develop lifetime relationships with your patients, our members, and the community, as well as with your peers across specialties and departments. Choosing HPMG is a career commitment that can be rewarded with collegial relationships that last well beyond your retirement. When you join HPMG, you join a team whose members are vested in each other’s success, each and every day. Through our continuous peer-review process, HPMG physicians are rated on quality of care, service, collaboration, and overall contribution to the organization. This peer review puts a premium on cooperation and partnership, behaviors that can bring medical expertise and resources together more quickly in situations where time is of the essence. Practicing in our group environment fosters a unique collegiality that brings to bear diverse experience and knowledge when they’re needed most. We’re here to make lives better; it is a mission and a cause that embodies what HPMG is all about and is true both within and beyond our walls. Our physicians lead the way in providing the very best health care for our members and in helping to put health at the top of the community’s agenda. Making a difference by making lives better is at the heart of our Medical Group’s mission. This commitment to our community continues to be my greatest source of pride in serving HPMG and the people of Hawaii.